Falcon Technologies International recently hosted its Global Sales Managers and Master Distributors in its home Emirate of Ras Al Khaimah. We were delighted to welcome our Global Sales Managers responsible for the Asia Pacific, Middle East & Africa and North-America territories together with our European Master Distributors (River Pro Audio – UK & Ireland, Media Range – Northern Continental Europe and Synoptic International – Southern Continental Europe) to discuss the latest developments, opportunities and innovations that make optical media the exciting and progressive industry that it is today. 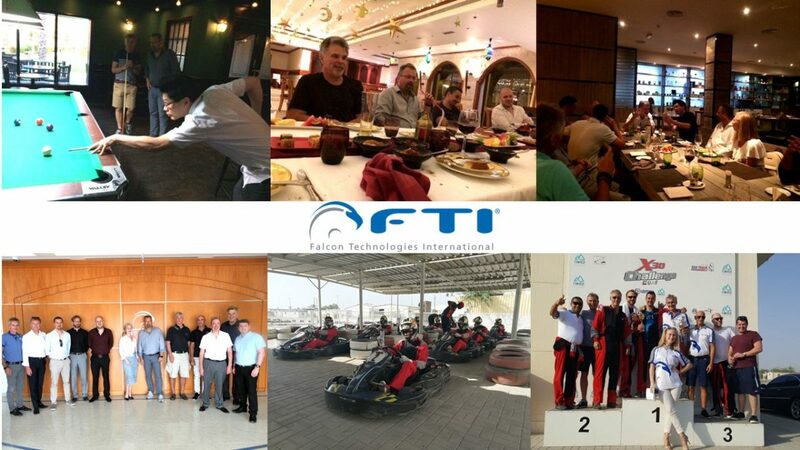 The entire FTI extended a very warm welcome to all the guests, who enjoyed the superb hospitality and fun activities including a Karting race.